Create a video to teach a new team something about the STEM aspects of robotics engineering or construction that you have learned from experience that can help them better prepare for a competition. This contest is open to students anywhere in the world currently registered in an education institution at any level, or to home school students younger than college/university level. These are the minimum requirements for this challenge. The “Evaluation” section below will provide additional guidance on how your project will be judged. Failure to fulfill any of these requirements may result in your entry being disqualified from advancing to Finalist or Winner status. This challenge is about robot design, construction and programming. Your video must focus on some aspect of these processes. Video up to three minutes long, submitted to YouTube, plus an additional credits section at the end, up to 15 seconds long. Videos submitted in previous Online Challenges are not eligible for submission this year. Judges will select ten finalists from the submitted entries, and will take community voting results into account in making their choices. 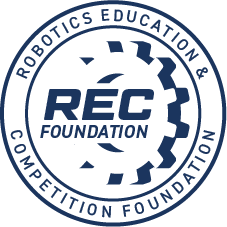 The finalist submissions will then be judged by additional selected professionals whose scores will be combined with the preliminary-round judges’ scores to determine the winner of the RECF Team Educational Video Challenge.